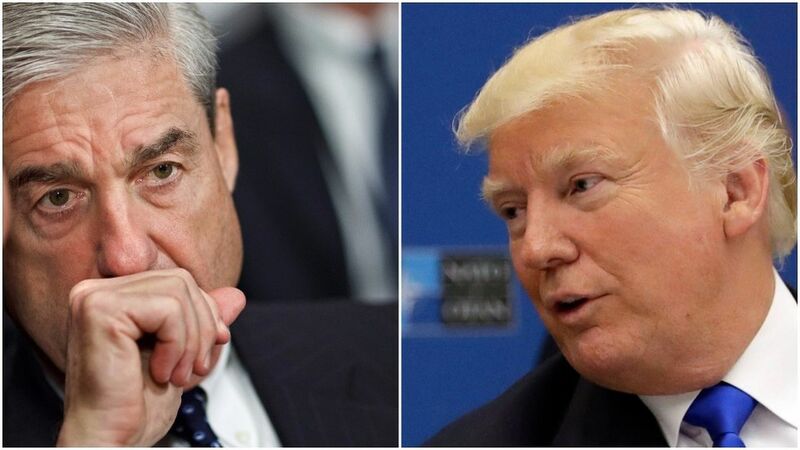 President Trump said yesterday "No, I'm not" when asked if he's considering firing Special Counsel Bob Mueller. Truth is, his high-level Republican allies don't think he will need to. Be smart: The Trump lawyers' strategy is to cooperate with Mueller on the inside game. The outside chorus tries to rough up Mueller, in case his findings are trouble for POTUS. The rising conservative drumbeat to discredit the investigation and the investigators is gaining GOP converts. Sen. John Cornyn (Texas), the chamber's #2 Republican, said on ABC yesterday that it would be "a mistake" to fire the special counsel. But Cornyn tweeted a day earlier: "Mueller needs to clean house of partisans." Trump said yesterday when asked about the tens of thousandsof transition emails Mueller had obtained from the GSA, which ran the server: "Not looking good. It's not looking good. It's quite sad to see that. My people are very upset about it. ... A lot of lawyers thought that was pretty sad." A source close to the White House said: "You're starting to win over mainstream conservatives to the backlash over overreach." The source said that Trump, not known for patience, has attacked the investigation but mostly resisted personalizing attacks on Mueller. One sign: Trump isn't calling Mueller by a demeaning nickname. "[T]he F.B.I. has handed them fresh ammunition to claim that the agents investigating the president may be biased." But, but, but: "Legal experts said there was no indication that Mr. Mueller, who has wide power to obtain documents through written requests, subpoenas and search warrants, improperly obtained the transition emails." Watters: "Is the FBI part of the resistance? It's like the FBI had Michael Moore investigating the president of the United States. ... The investigation into Donald Trump's campaign has been crooked from the jump." CNN's Brian Stelter dissects the "War on Mueller" feedback loop: "The right-wing commentary and President Trump's criticism of the FBI are part of a vicious circle. The TV hosts encourage Trump, then Trump supplies sound bites for their shows, and then the hosts are even more emboldened."